This elite hotel is known for its contemporary beach view rooms, beautiful pool, spa, and 3 Al-Carte restaurants serving a lavish complimentary breakfast. You can also indulge in the fun activities like swimming with the dolphins and a boat cruise to the South Island. The beautiful reef filled with sea creatures is indeed a treat to watch. Le Victoria hotel is a gorgeous 4-star hotel located at Pointe aux Piments on the North West coast of Mauritius. Le Victoria Hotel Pointe Aux Piments is ideal for a family accommodation. Children of age 0-17 years can accommodate at a free of cost in the hotel. There are also exclusive packages for couples who can customize their stay here. Its exclusive swim up rooms are sure to impress any traveler. The beach resort houses 254 chic style, sea facing rooms with astounding sunset views. With world-class amenities like The rooms are divided into 7 categories with different facilities and interiors.The hotel is sandwiched between Grand-Bay tourist hub and Port-Louis, the capital of Mauritius. Due to its perfect placement, the hotel is close to the major attractions of Mauritius. Le Victoria Hotel Pointe Aux Piments is situated at a distance of 3 km from Mauritius Aquarium, 10 km from Trou aux Biches Beach and 17 km from Port Louis. Want best Pointe Aux Piments Packages with this Resort? The hotel has 76 Superior Room on the first floor. The rooms are spacious with an elegant lounge area and terrace. The maximum occupancy is 2 adults and 1 child. The hotel has 76 Deluxe Rooms with each room measuring 60m area. The hotel houses 1 Executive Room with luxury comforts. 15 accommodations are available in the Family Apartment category with each room measuring 120 m. In addition to these rooms, there are Ocean View Rooms and Swim-Up Rooms in the hotel which offer remarkable views of the ocean and swimming pool. Every room in the hotel is spacious and equipped with comfortable queen size bedding. Each room is furnished with balconies, LED TVs with satellite channels, tea and coffeemakers, minibars, and separate bathtubs and showers. Free Wi-Fi and wonderful room service are offered in the rooms of the hotel. When it comes to facilities, Le Victoria Hotel Pointe Aux Piments will not let the guests down. From relaxing spa services to an in-house beauty salon, one will not have to worry at all. Apart from this shuttle services to the airport are also available to the guests of the Victoria Beachcomber. Water activities such as snorkeling and fishing are also provided by the hotel. There is a kids club with a variety of amusing activities and games to entertain the kids. The club is free for kids aged 3 12. By giving 24-hour notice, the guests can use the babysitting service in the hotel. Whether one is coming here with kids or their partner, one is sure to have a memorable stay. The restaurants in Le Victoria Hotel Pointe Aux Piments offers a diverse menu with a delectable taste. The hotel includes 3 restaurants and 1 bar facility. The Le Superbe is the prime restaurant in the hotel overlooking the pool and lagoon. The restaurant serves delightful international cuisine with exquisite taste and flavor. The Le Casa is an Italian restaurant with stunning views of the capital city, Port Louis. The restaurant serves extravagant Italian dishes with " la carte" food menu. The L'Horizon restaurant is located near the beach which serves irresistible seafood specialities. The Le Corail Bleau Bar includes the finest collection of innovative cocktails and drinks and offers splendid sunset views. Plenty of options for comfortable rooms and exotic dining along with attractive amenities and services, Le Victoria Hotel Pointe Aux Piments is truly an ideal choice for accommodation in Mauritius. What are the facilities offered at the fitness centre in Le Victoria Hotel Pointe Aux Piments? Aerobics, spinning, Pilates studio, body shape, cardio training, circuit training, yoga, and power plate are some of the facilities offered at the fitness centre in Le Victoria Hotel Pointe Aux Piments. Name some outdoor activities organized in the hotel? 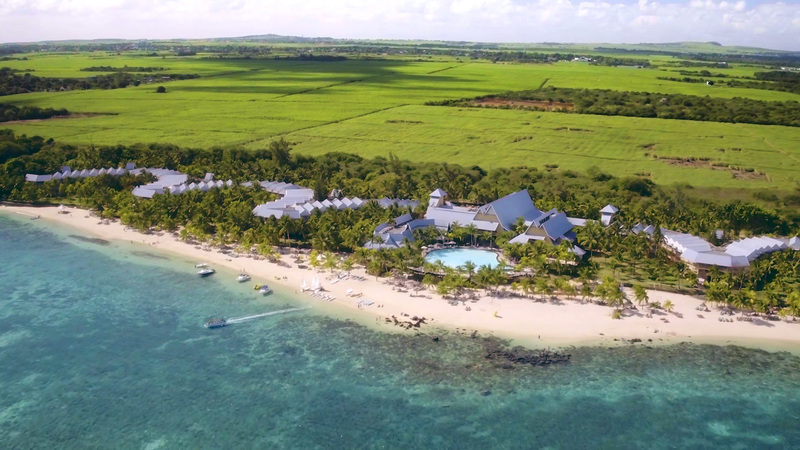 Le Victoria Hotel Pointe Aux Piments offers plenty of outdoor activities namely, Tennis, beach volley, football, bocce ball, and mountain biking. Does the hotel provide any live entertainment? Yes, the hotel provides various live entertainment like local band music, folkloric dances, fun shows, and DJ experience. Does the hotel accept credit card mode of payment? Yes, the hotel accepts credit cards such as American Express, Visa, Mastercard and Diners for payment. Is there a buffet service at the hotel? Yes, there is a buffet service at Le Superbe restaurant in the hotel. Selection of buffet menu is served during breakfast from 7 am to 10 am, lunch buffet opens from noon to 3 pm and dinner includes live cooking buffets from 7 pm to 9.30 pm. Le Victoria Hotel Pointe Aux Piments is one of the best accommodations in Mauritius which provides unforgettable experience decorated with opulence. The unique features of the hotel offer once in a lifetime experience to the guests. The friendly hotel staffs strive towards ensuring an amazing holiday for the guests. The panoramic views of the island and the garden are offered in all the rooms of the hotel. A pleasant dining with a scrumptious menu is served in the restaurants of the hotel. The guests can chill out by sipping the best drinks in their bar. The sports centre in Le Victoria Hotel Pointe Aux Piments is well-resourced with state of the art sports and fitness equipment. The Zen ambiance of the spa provides complete relaxation for the guests. Shopping options such as boutiques and jewelery shops is a heaven for shopaholics. The elegant dcor, serene ambiance, luxury facilities and impeccable hospitality of the hotel enables the guests to create unforgettable memories in Mauritius.